Some of the thousand of Barnacle Geese wintering on Islay. Seen on the shore of Loch Indaal in October 2013, Beinn Tart a’Mhill (232m) in the background. 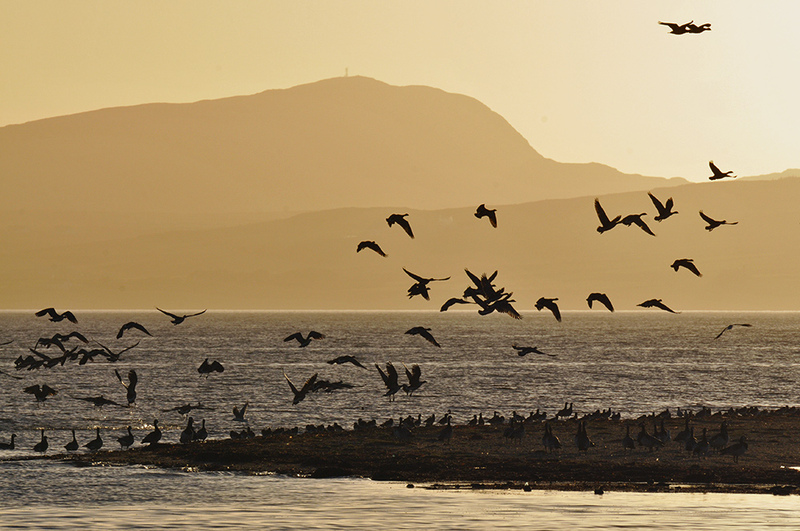 This entry was posted in Landscape, New Post, Sea Loch, Sunny Weather, Sunset, Wildlife and tagged Barnacle Geese, Beinn Tart a'Mhill, Islay, Loch Indaal by Armin Grewe. Bookmark the permalink.